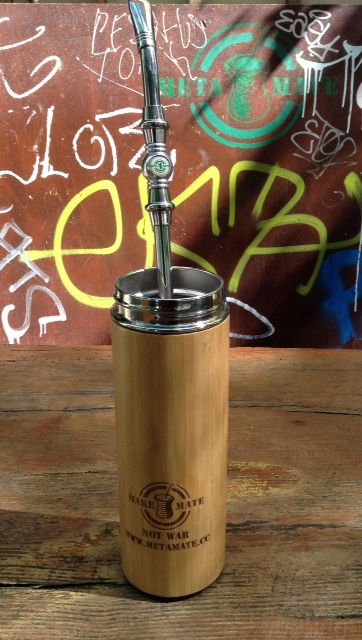 Guamboo – the urban Guampa a stainless-steel portable mate with a bamboo exterior. 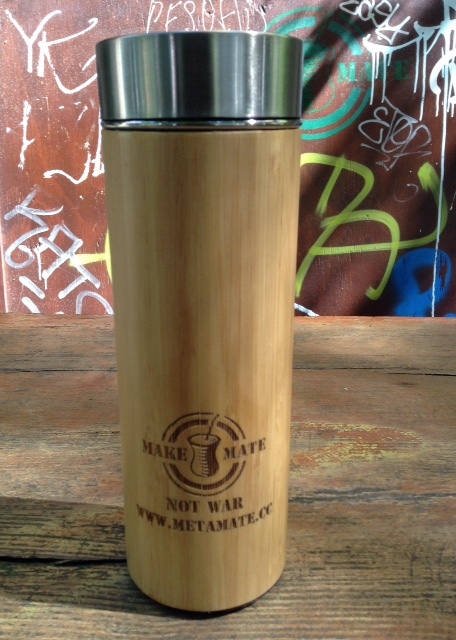 Meta Mate’s Modern Mate drinking solution is here. 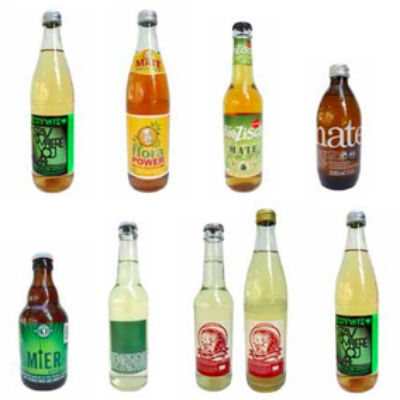 Our 2 in 1 Thermo Mate Glasses are currently sold out but this 300mL Guamboo is ideal to enjoy your mate on the go. 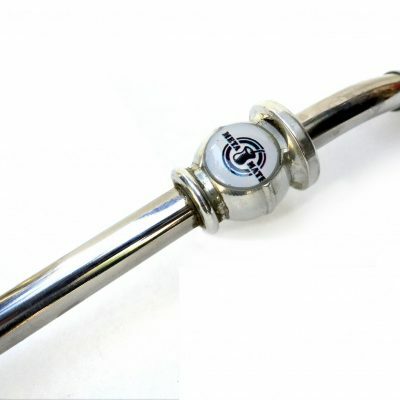 The thermoses are leak proof and come with a steel filter inset that is suitable for leafy mates. 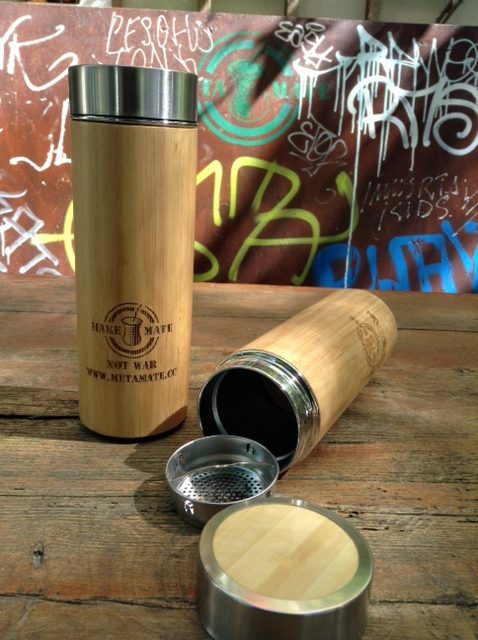 However, for the ultimate to go mate experience we recommend usage with our MM XXL Bomba and Revolution Thermos. 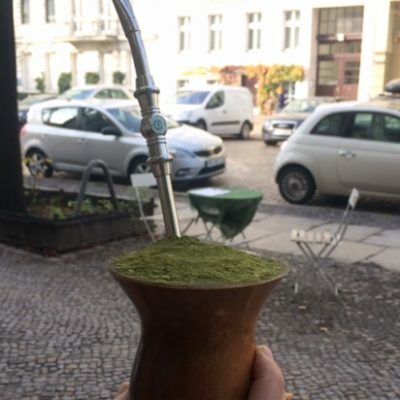 Your portable Mate that works perfectly with our Meta Mate Bomba, just add a few spoons of mate inside. 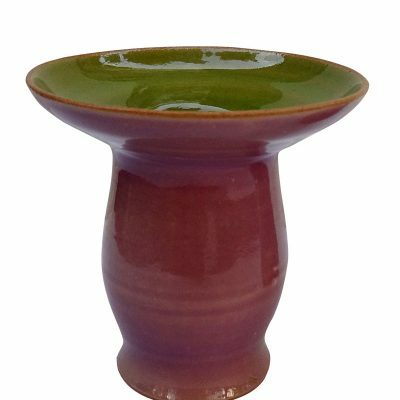 Add hot water and either drink immediately through the Bomba or screw the lid on tightly to transport your Mate. Enjoy your Mate to go, either flavoured or pure. The Thermos glass keeps the water hot for about 45 mins just in case you feel like transporting your mate to drink elsewhere. 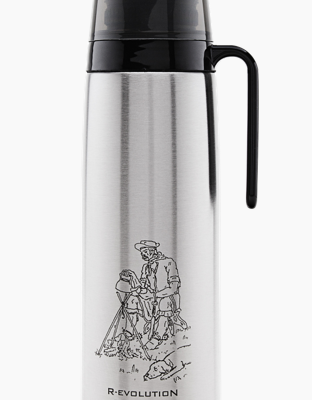 This Thermos is perfect for drinking mate, or any other tea/herb infusion. The filter works well, however i recommend you stick to using a leafier cut if you want to use the filter. 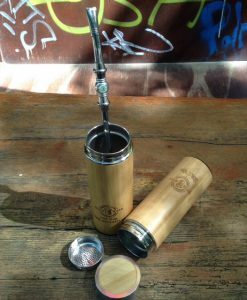 The flask is perfect for drinking mate on the go with a bomba as it allows you to drink a ‘long’ mate, and once you have finished you can screw the top on, throw it in your bag and move on. 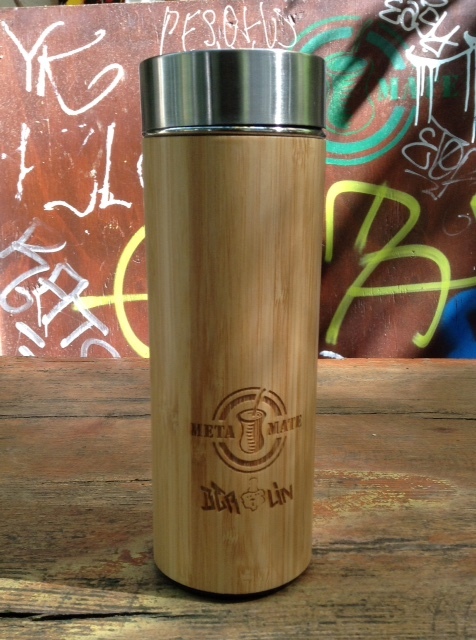 This thermo-glass flask innovation made a good gift for my special friend,who introduced me before to meta mate. The glass walls of the flask, unlike the metal flasks, allowed me to made the gift more personal by decorating it with artist glass paint. I also want to say thank you to the meta mate customer service for the high quality service,recommendations and great communication. 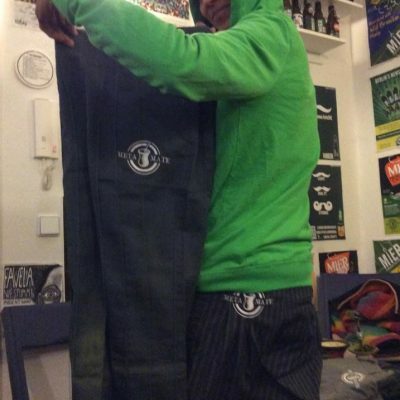 It is a best friend of urban materos. Perfect for U/S-bahn (metro). Easy to care and use . 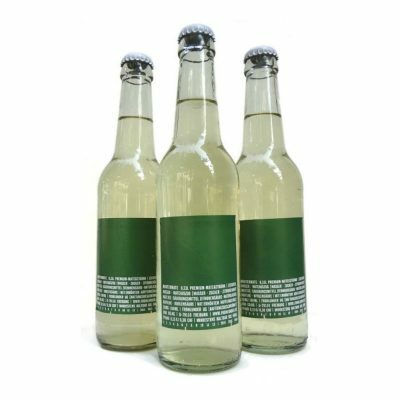 outstanding thermal isolation and hermetic cap. 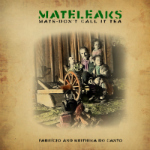 Nice fit with metamate bomba, but easily could be used without any devices filter in cup works well. 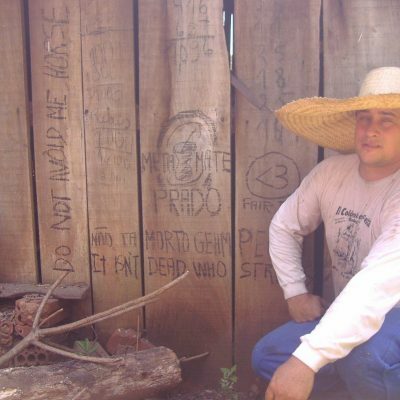 It is realy help to enjoy mate on road. I really like it. 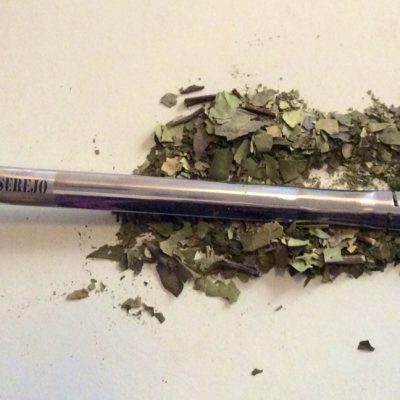 Super cool thing you have a chance to see your yerba incide. 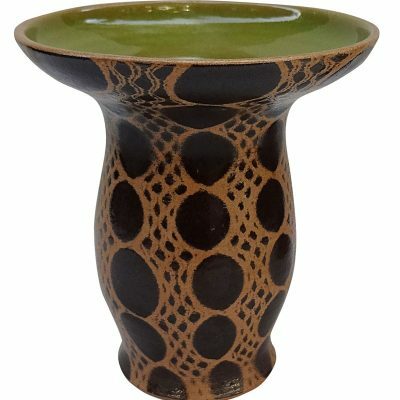 It charming when leafs is “dancing” when you put water and this charming green color.